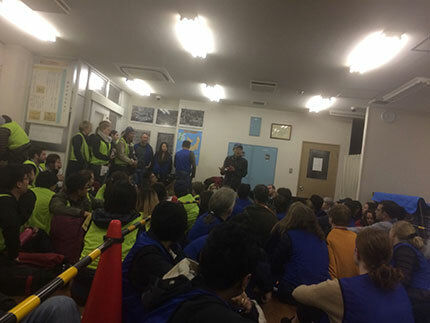 The Tsukiji Fish Market is the largest wholesale fish and seafood market in the world, handling more than 2,000 tons of marine products a day. Although the market wasn’t originally intended to be a major tourist attraction when it opened in 1935, Tsukiji now regularly shows up on visitors’ lists of must-see destinations in Tokyo. Witnessing the fresh tuna auction before the sun rises is the primary draw. Tsukiji Market is open Monday through Saturday, with closures on holidays and occasional Wednesdays. 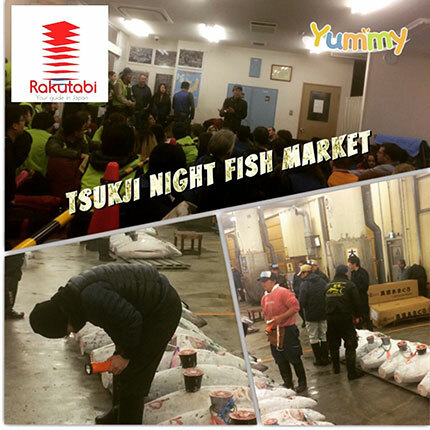 The market is comprised of two areas: the public Outer Market, which features shops, sushi, and various market stalls; and the Inner Market, where the famous fresh tuna fish auctions are held. Shops in the Outer Market have varying hours, but the area is generally open between 5am and 2pm. The Inner Market has strict rules—the height of business occurs in the morning, and tourists are not permitted inside until 9 or 10am. 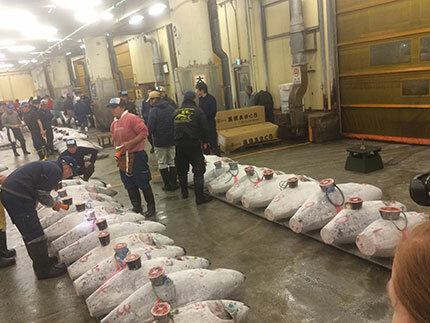 The early morning tuna fish auction is free and open to the public, although registration is on a strict first-come, first-serve basis and typically opens at 5am before the first 20-minute viewing at 5:25 and the second at 5:50am. It’s best to arrive at least two hours early, as crowds are large and the maximum number of visitors allowed in each viewing group is 60. Lines are known to queue up as early as 1am. You’ll know you’re getting in if the staff provides you with a vest and directs you to a waiting room where you can sit on the floor if necessary. Keep in mind that there is no flash photography. Be sure to dress warm and wear comfortable shoes.